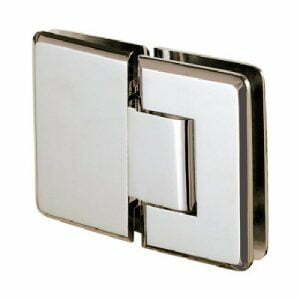 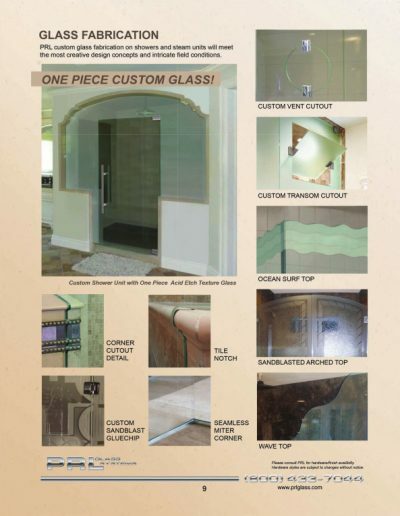 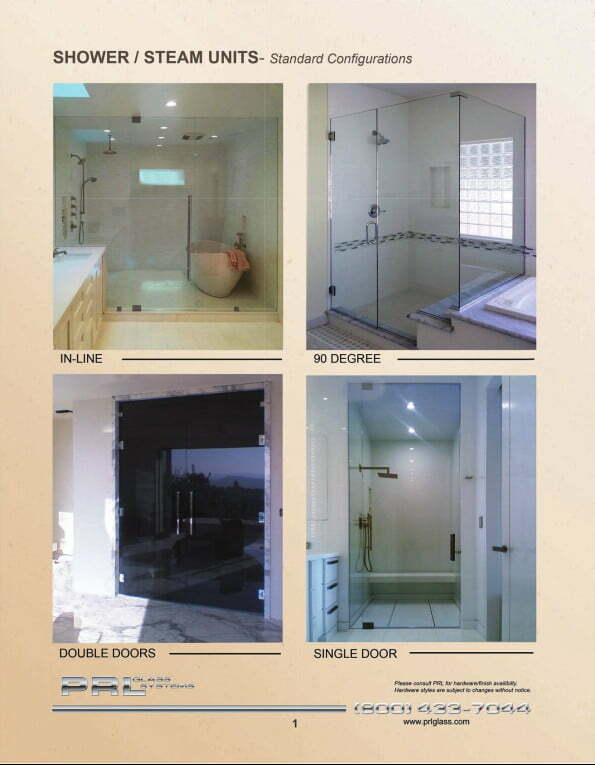 All Glass Shower Doors and Hardware - We Fabricate it All! 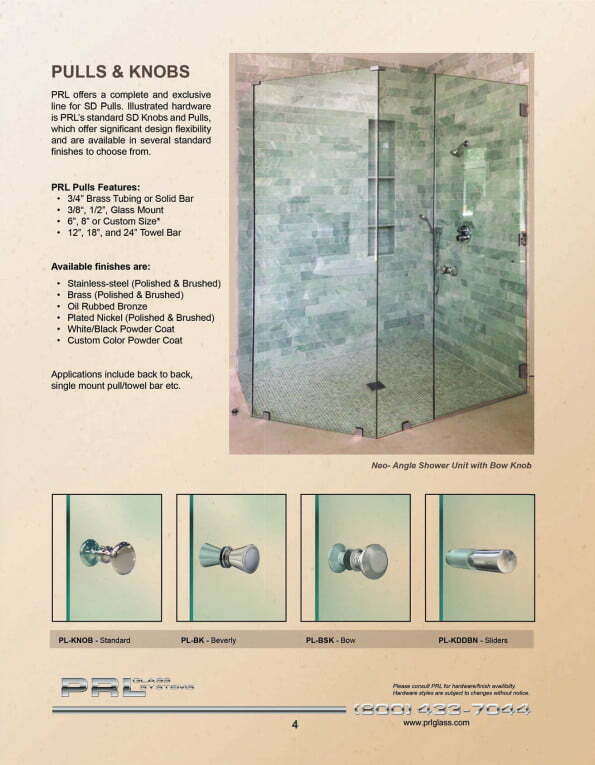 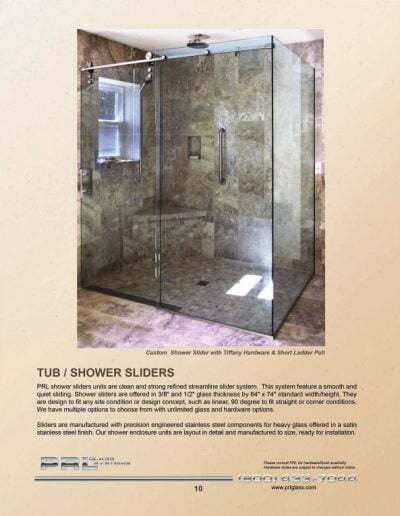 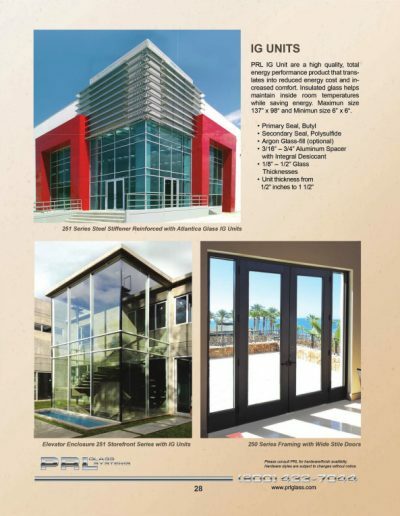 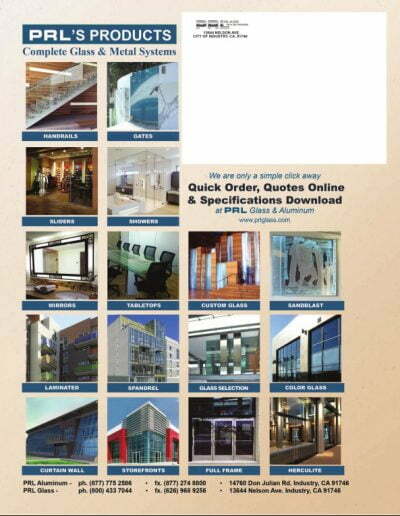 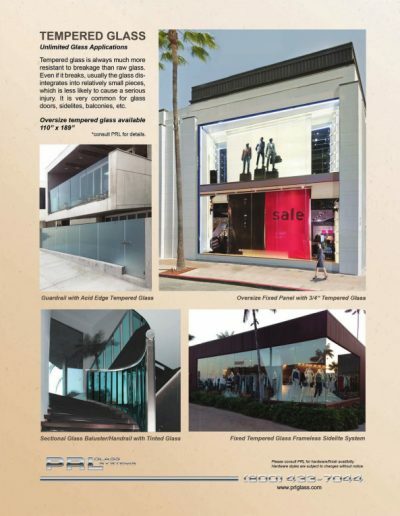 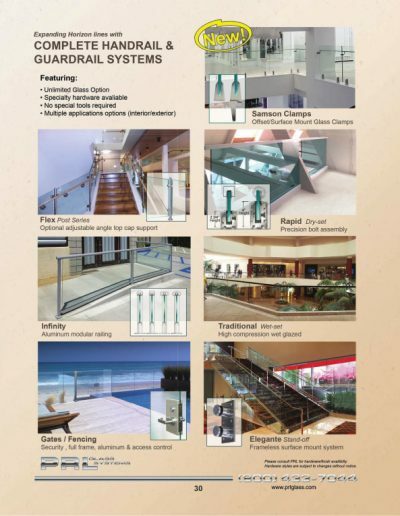 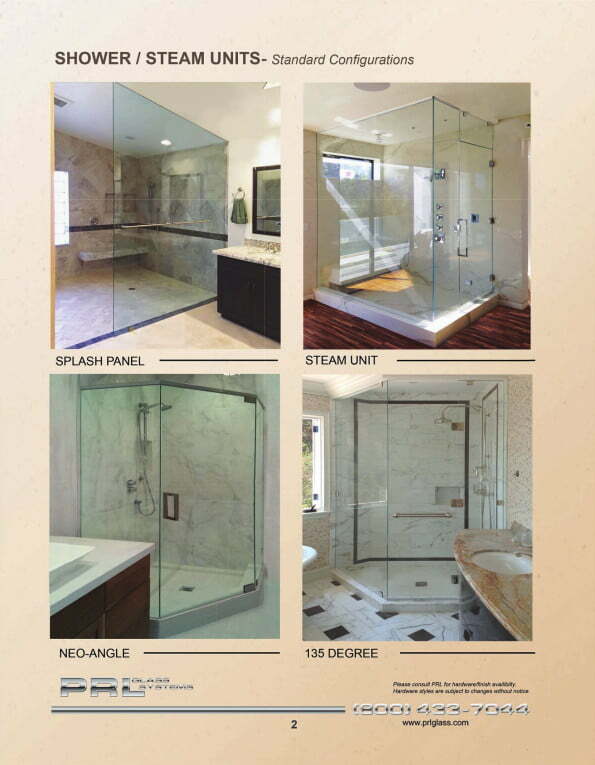 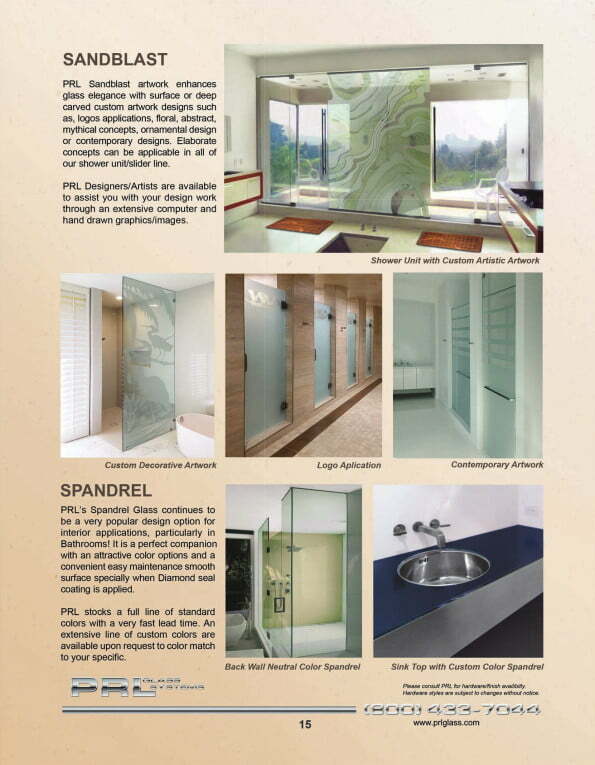 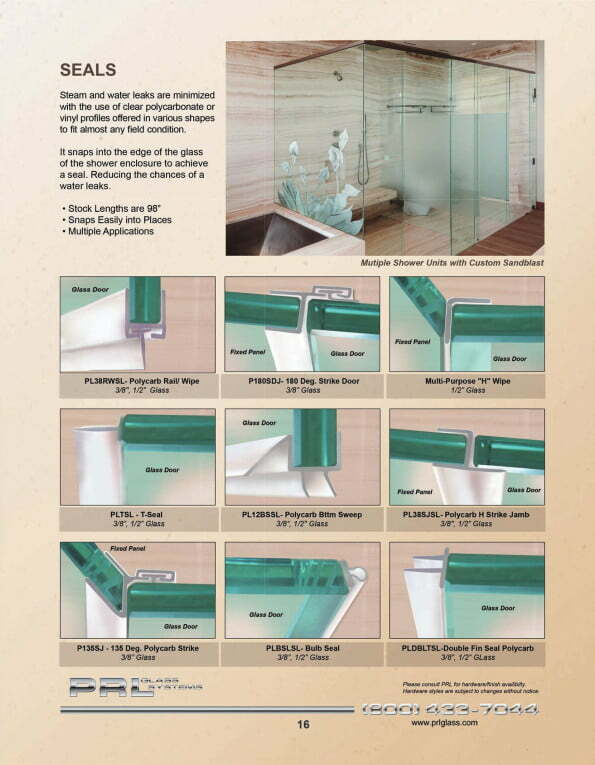 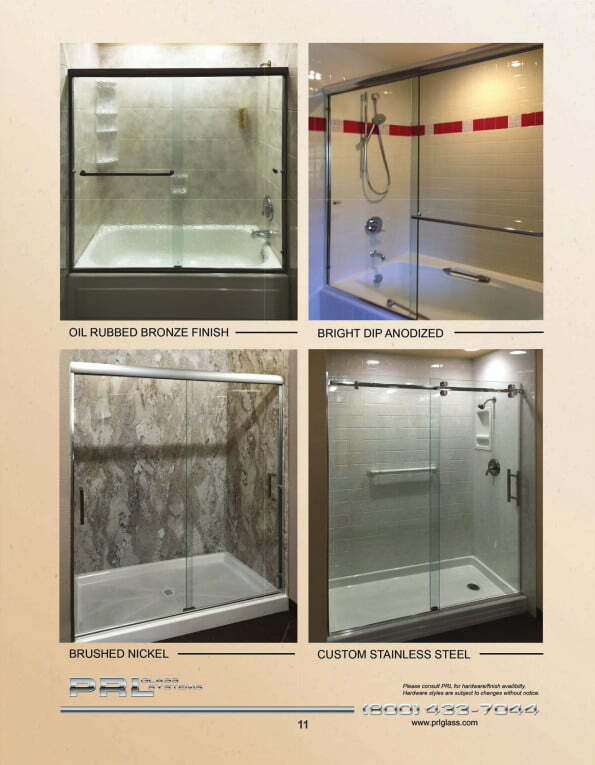 PRL manufactures complete all glass shower door enclosures for a variety of applications. 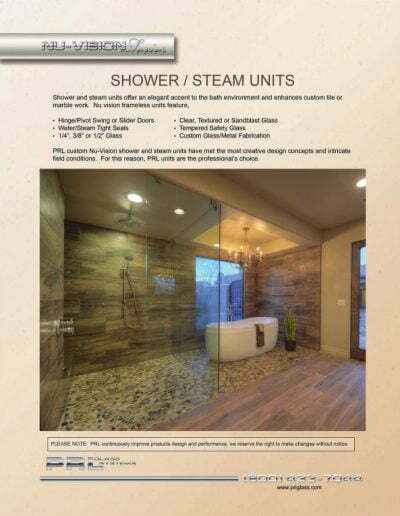 Nu-vision frameless tempered all glass showers are fabricated in detail to practically any geometric configuration for that unique design you are looking for. 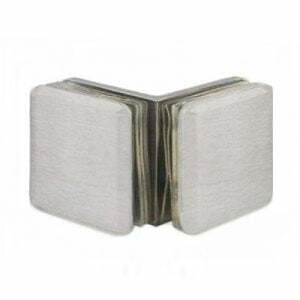 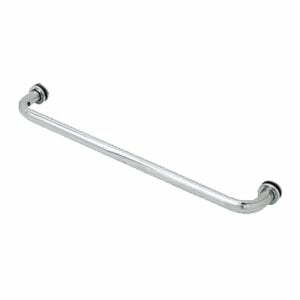 We carry our own line of shower door hardware including: shower door hinges, all glass panel clamps, custom pulls and headers. 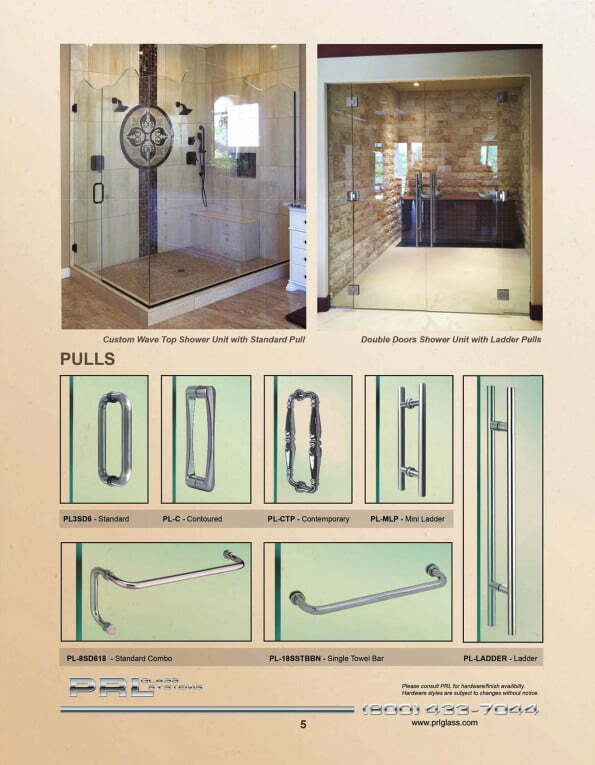 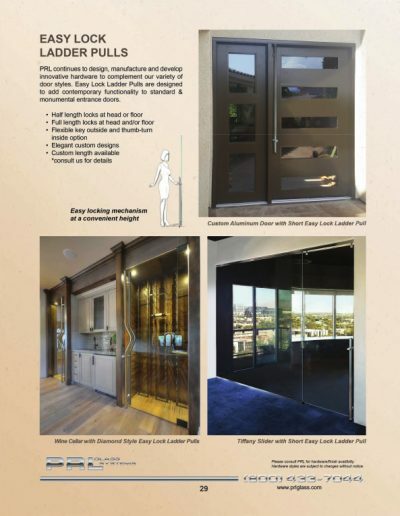 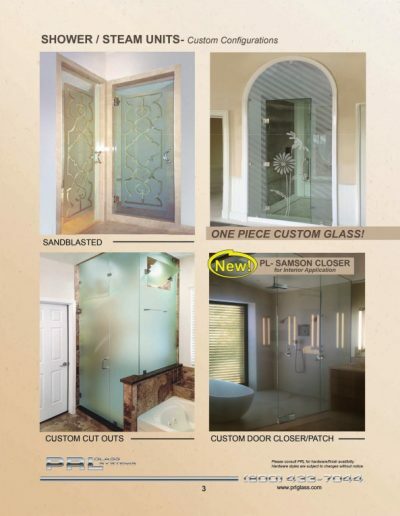 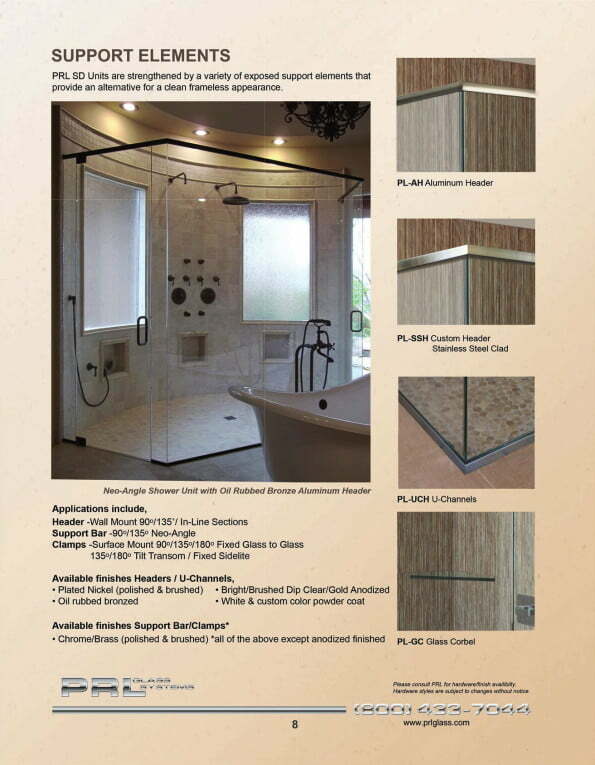 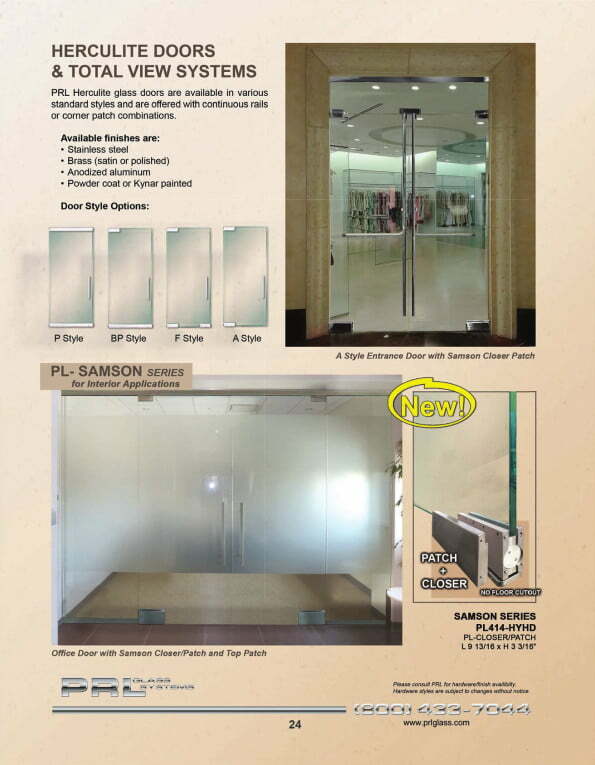 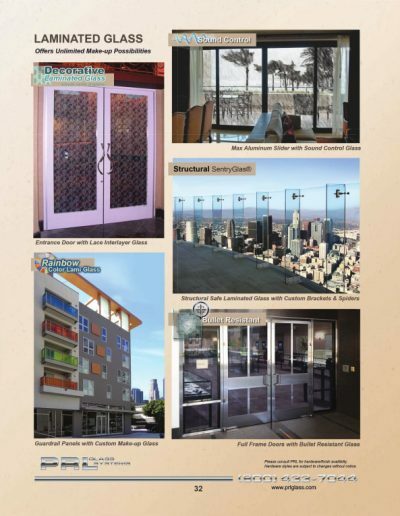 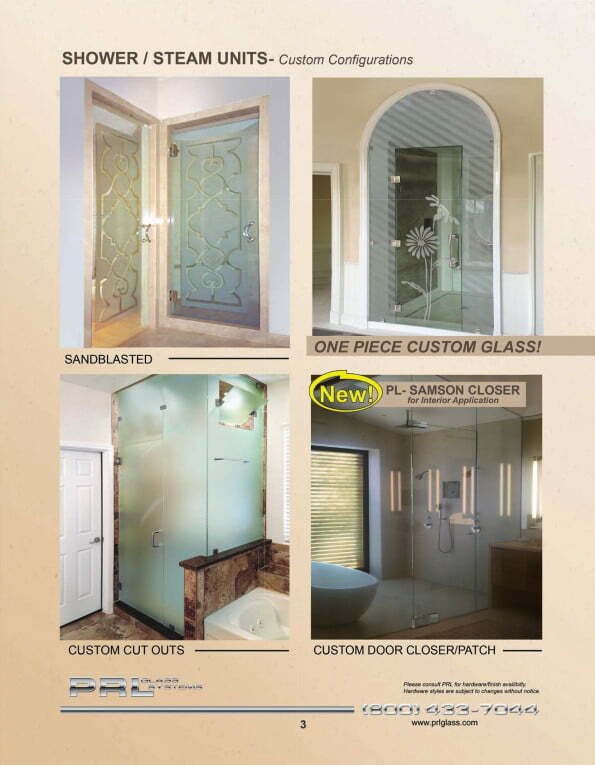 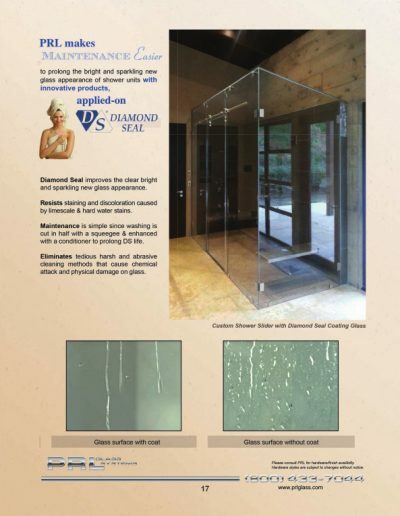 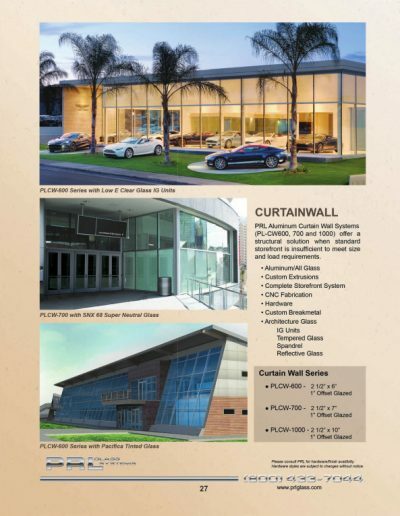 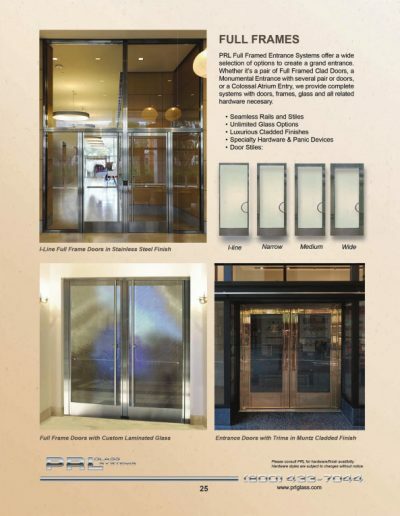 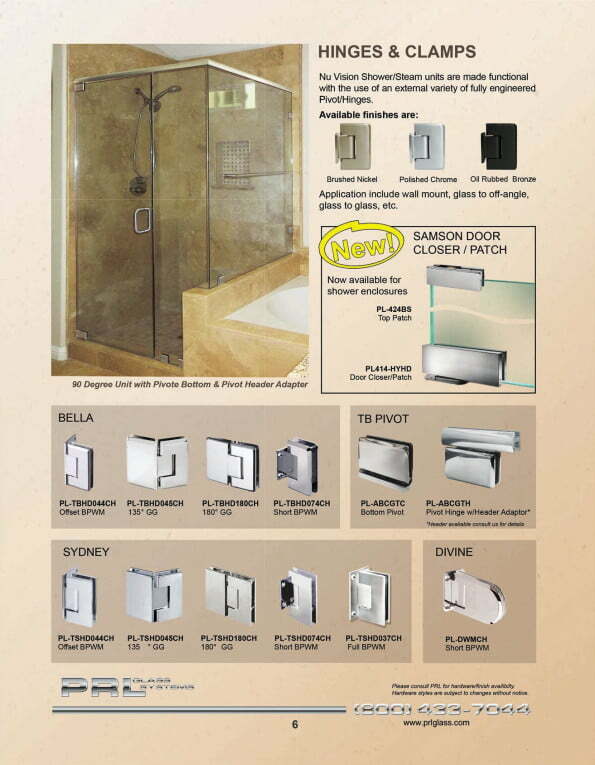 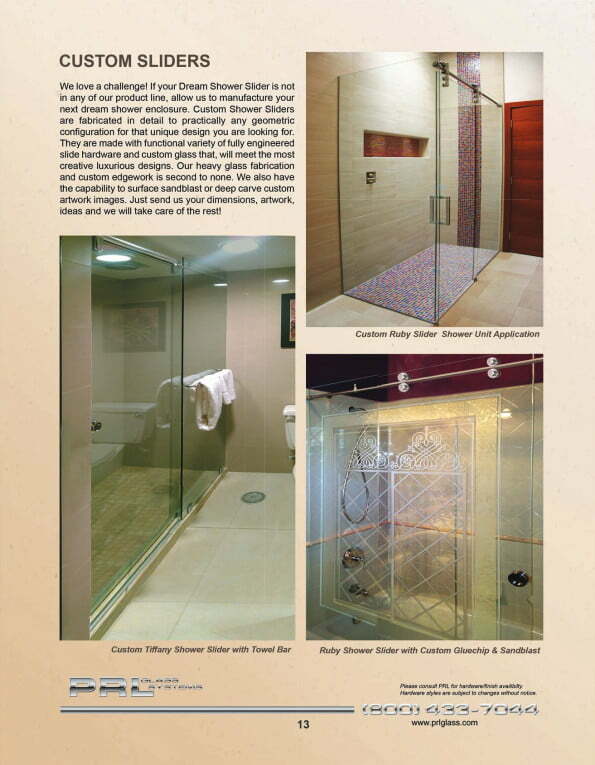 PRL offers from traditional frameless shower door styles to elegant contemporary door styles. 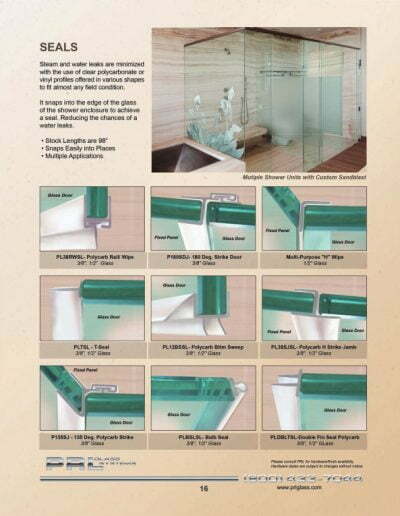 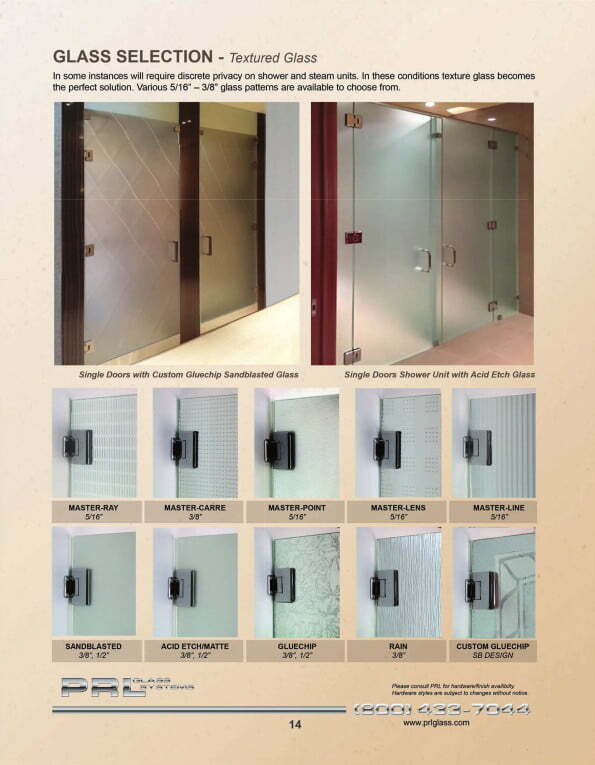 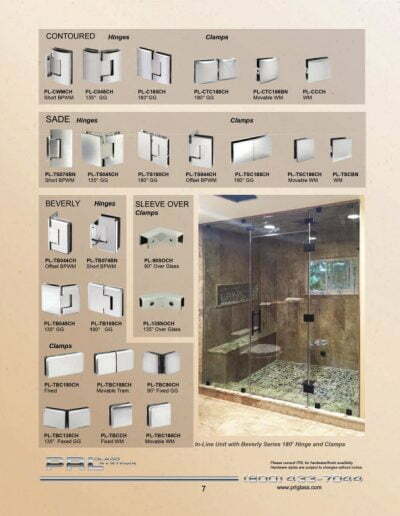 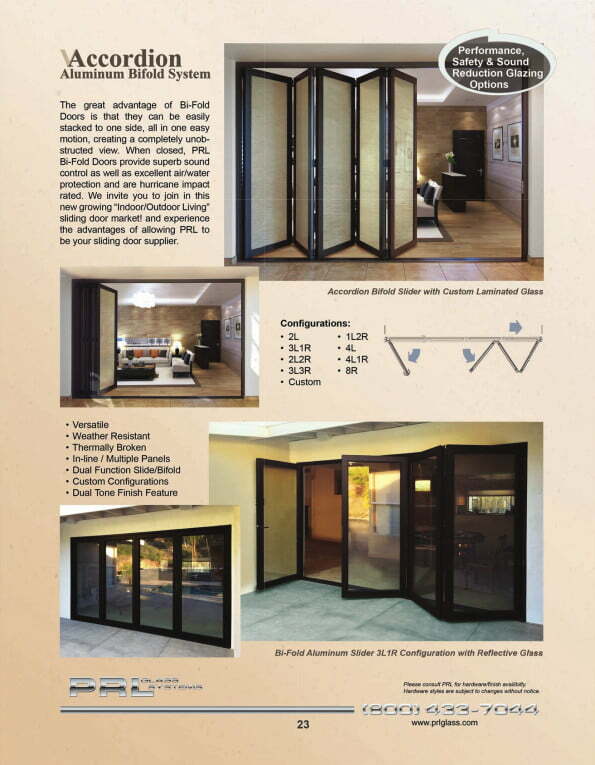 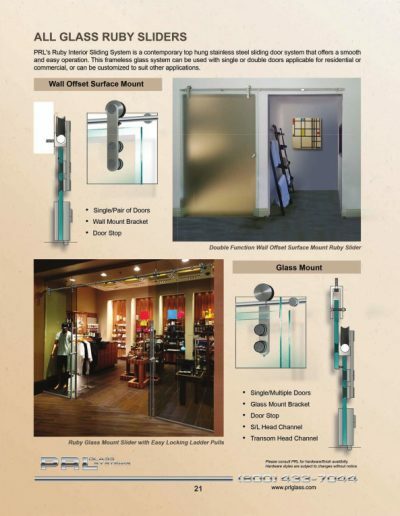 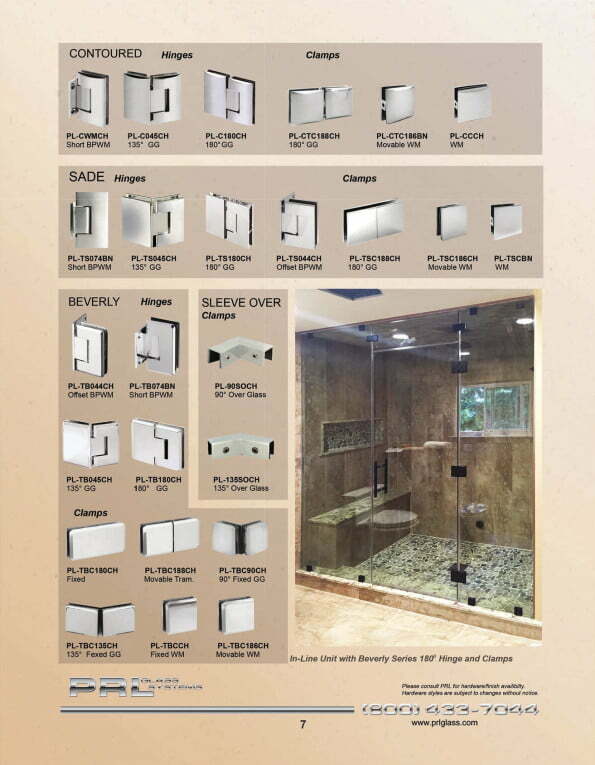 The frameless safety shower door/ steam units are made with functional variety of fully engineered hardware. 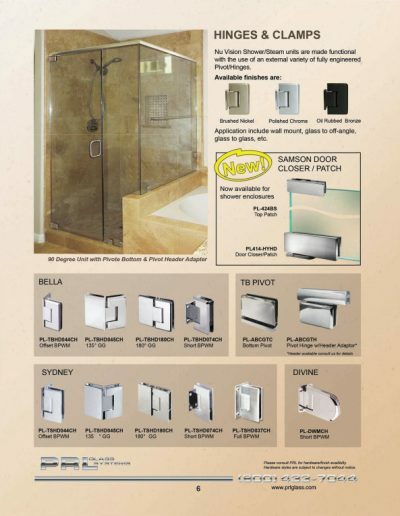 The most common shower hardware used includes top and bottom pivots, wall mount hinges, all glass to glass hinges and 3/8″ aluminum sliders. 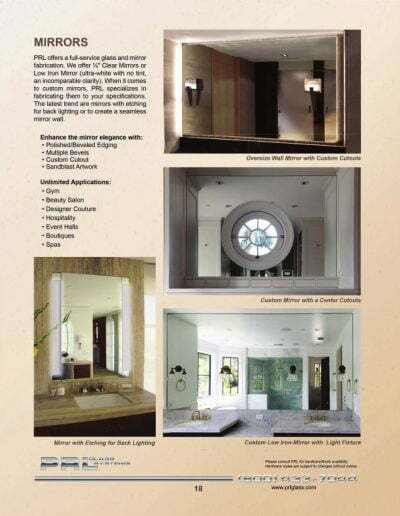 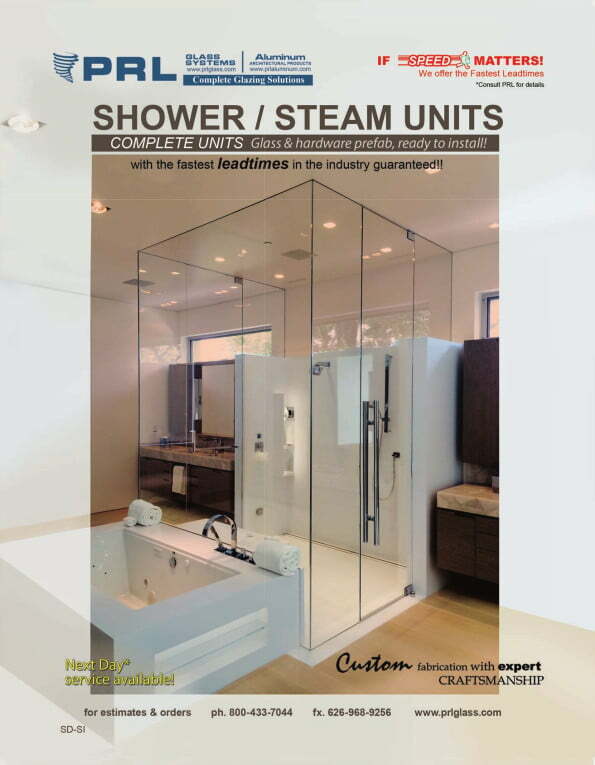 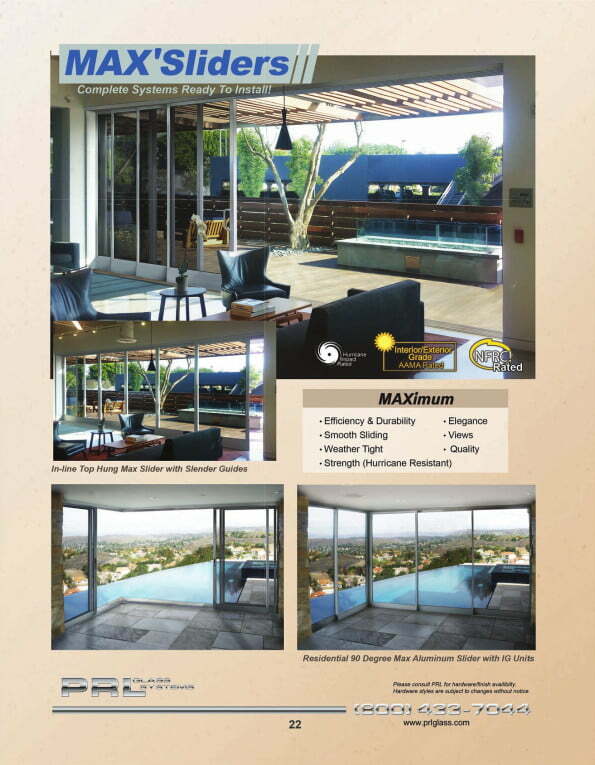 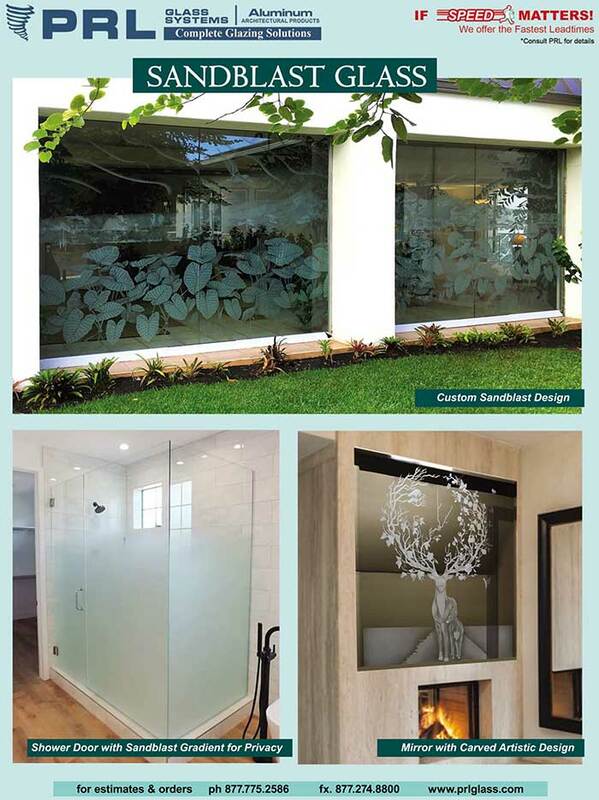 Our custom all glass fabrication on shower and steam units will meet the most creative luxurious designs. 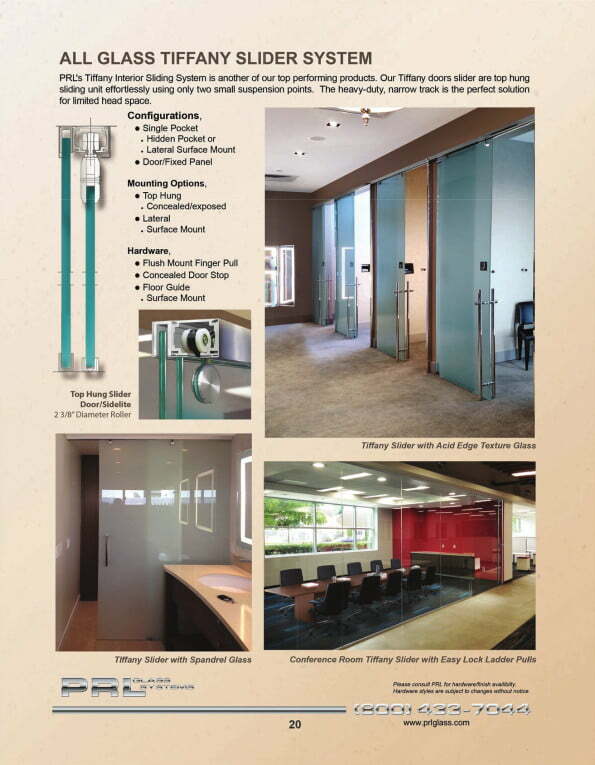 Textured tempered glass will give you discrete privacy. 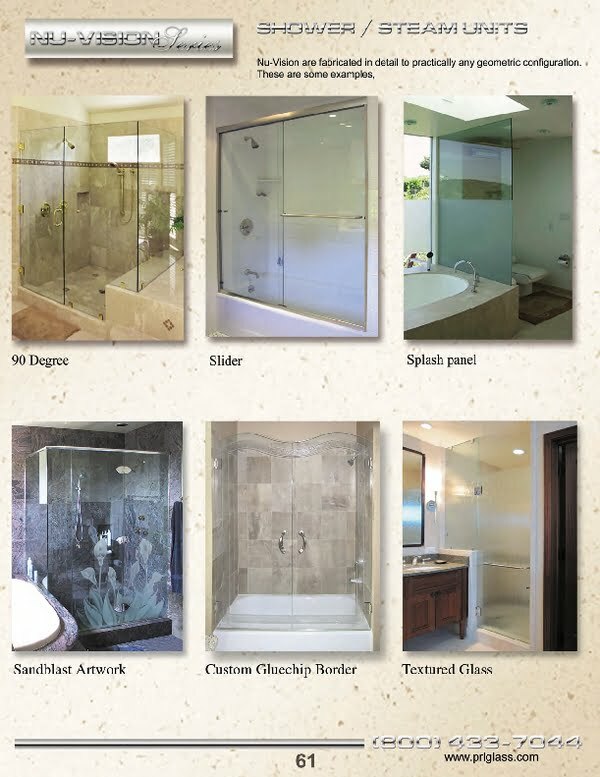 We stock various texture glass patterns. 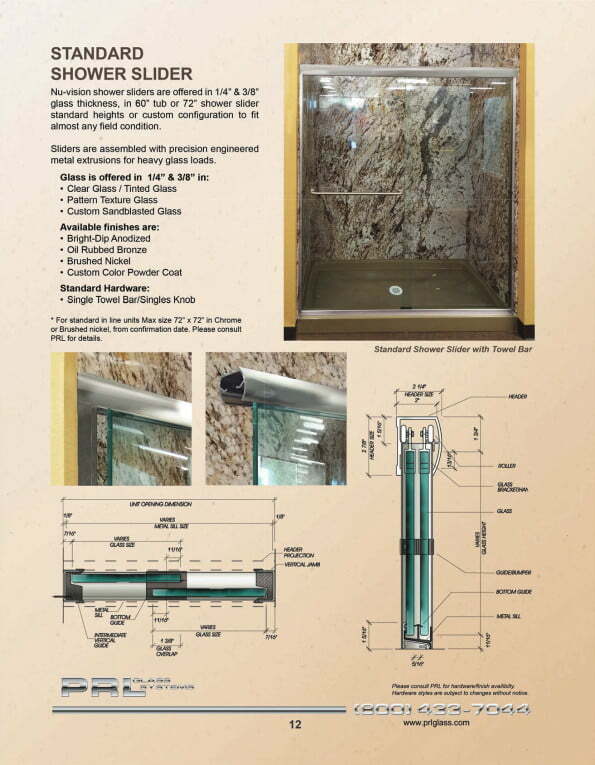 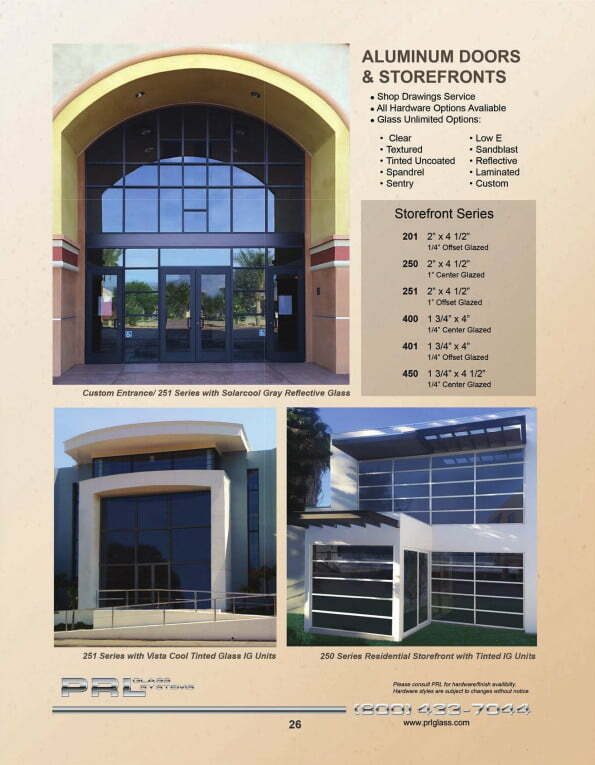 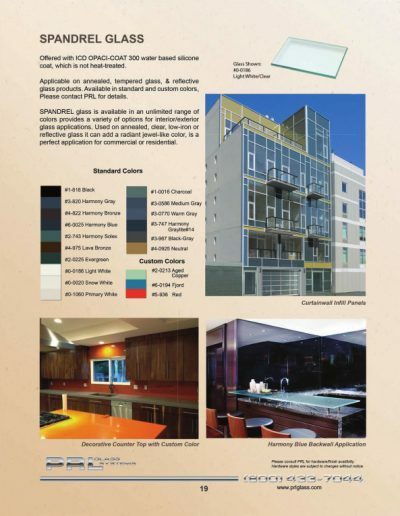 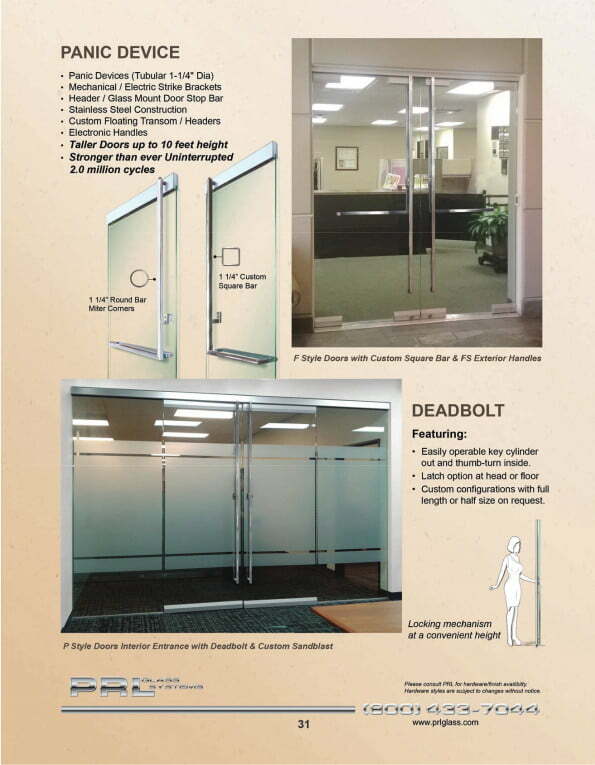 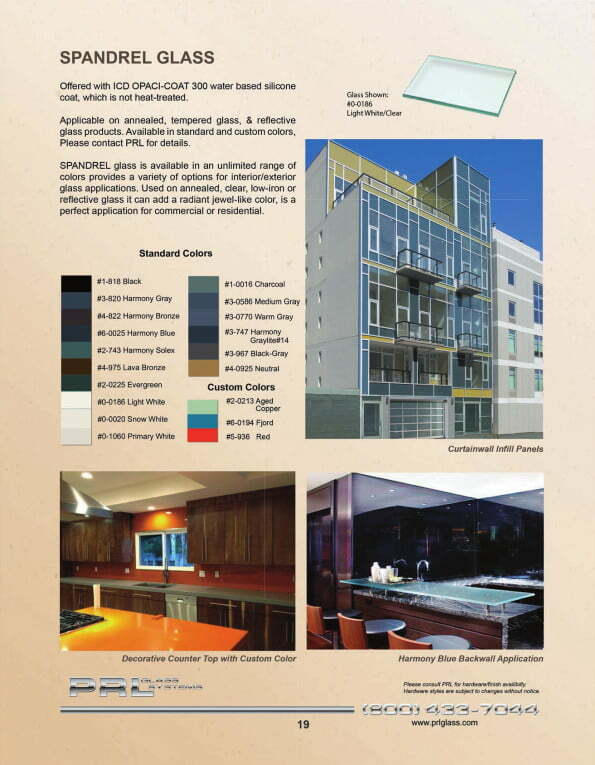 All frameless door / enclosures are manufactured with our 3/8″ or 1/2″ tempered glass. PRL has the fastest shower production time in the industry, all guaranteed!